, last week, it appears Nokia isn't quite going all in on the new OS. 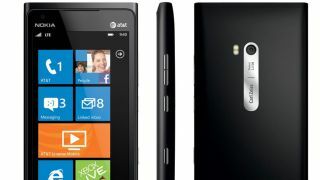 In fact, new reports indicate Nokia is planning a wave of Windows Phone 7.5 handsets along the lines of the already released Lumia 900 and 800. Sources have revealed Nokia's plans to continue pursuing the Windows Phone 7.5 market as a way to capitalize on the cost of entry, as well as the cost of production, on Windows Phone 8 smartphones. Nokia's senior vice president Kevin Shields has said in the past that Nokia will continue to support Windows Phone 7 models in an effort to help underdeveloped markets continue to grow. Perhaps as a measure of how much support Nokia intends to keep giving, the company Tuesday released a list of new apps and upgrades coming to the existing Lumia line. Cinemagraph, an app that helps create GIFs, will come to the phones, as will an upgrade to Smart Group Shot. The Lumia line will also add a new Start screen and a ringtone maker, in addition to better contact sharing, and Bluetooth file transfer. There's no date in sight for these updates, but that shouldn't come as any surprise to anyone following Nokia closely these last few days. The company was equally sheepish about release dates for the upcoming Windows Phone 8 line-up, and have even stirred rumors of possible delays for Microsoft's new mobile OS. With the continuing support for soon-to-be-outdated devices, and the lack of conviction in Windows Phone 8, it'll be interesting to see just how Nokia proceeds in the coming months.